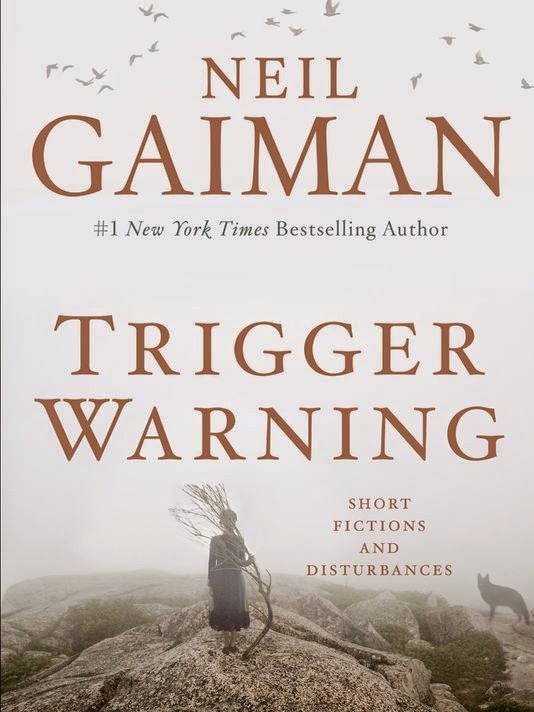 Every time I see Neil Gaiman’s Trigger Warning on a shelf, I shake my head. Not only is he thoughtlessly missing the point of a trigger warning but what a distastefully unnecessary way for a best-selling author to cheaply get press for their short story collection, especially when they absolutely do not need it. Trigger warnings began in feminist circles as an informal act of compassionate courtesy and a way to acknowledge experiences with which the rest of the society would rather not be bothered. Why? Because women quickly discovered that when you gather a large and disparate group of them together, even if it’s only online to discuss your favorite science fiction stories, the one thing the majority of them will have in common is experience with violence and sexual assault, and all the terrible things that follow in their aftermath. Now, just stop right there and think about that for a minute. Stop and think about that for a minute. Each year there are about 293,000 victim of sexual assault. Each year nearly 5 million women will experience violence at the hands of their partner. That’s why we informally have trigger warnings. The idea that a trigger warning is about political correctness and censorship is ludicrous. Political correctness is an attempt to adjust something so it causes no offense. This isn’t about being offended, this is about not being traumatized. Censorship is when you are forced to strike something from your book, film, album, or teaching materials because some outside body is attempting to control your means of expression and the spread of an idea. No one who supports the notion of a trigger warning is suggesting not teaching or talking or printing the types of things that would require a trigger warning. The fact of the matter is that every single day we are given warnings about potential experiences for a variety of different reasons and yet we don't complain. When you’re driving on the way to work, the roadside is full of signs. When you’re sticking popcorn in the microwave, warnings are printed on the back of the bag. When you go out and order food, the menu displays which dishes are extra spicy and hot. When you see a movie, the rating and the text accompanying it gives you an idea what to expect. When you watch broadcast television, you are given a similar warning at the beginning of the program and sometimes even after the commercial break. The issue with trigger warnings has solely been in relation to college students, yet it's been treated and responded to like there was a suggestion of implimenting some sweeping change for all the printed word. If there was a serious suggestion by a publisher or a company to apply trigger warnings to the entirety of books then I missed it. I think this all has to do with this American mindset of toughening kids up and the same old generation gap nonsense that will probably never fully go away. You know, what I mean, “Back in my day…” or “Kids now just don’t…” or “That’s the whole problem with this generation…” That’s a knee-jerk thought process that’s hard to break without effort. I know that I can be guilty of it as I get older. Unfortunately, the millenials seem to be on the receiving end of this more than anyone else has ever been. Which is a shame. Not to say that they don't have flaws, they do and every generation does, but I have real high hopes for these kids. Furthermore, people tend to have this skewed view of life and learning on a college campus. Despite recent changes, academia still remains largely an insulated legacy culture and that legacy culture still tends to mostly be white guys who’ve never had to deal with racism, sexism, violence, or sexual assault. Hell, when people talk about how trigger warnings would affect the “canon,” they tend to be talking about work that largely comes from other white men with a similar set of experiences. "Women’s issues” have never been something that colleges deal with well. The first women’s studies course wasn’t offered until 1969, and the first women’s studies program not until 1970. If colleges had their act together, things like the Cleary Act would have never been necessary. If the college campus were actually capable of addressing sensitive and traumatic issues on their own with, you know, “common sense”, they would not be facing renewed Title IX pressure from the federal government to address what clearly tends to be the institutionalized tendency to look the other way. Whether we’re talking about Sandusky or the recent revelations about sexual assaults on campus, the university setting does not have a great track record for dealing with sensitive and traumatic things. And these issues are always brought to light by students. Not administrators. Not staff. And not faculty. Students. So the idea that a university adminstrator or a professor totally has it covered when it comes to deciding what is and isn’t traumatic enough to warn a student about so they can make an informed decision about whether to take or remain in a class is dumb. The administrator is there to administrate and the professor is there to teach. Neither is there to be a therapist. It’s not unless we make it into something else. It’s not unless we make these outrageous leaps. It’s not unless we’re so caught up in our sense of artistic importance that we can’t deal with what’s actually taking place right now. We want a nation of young people who are considerate of the pain and suffering of others. We want a nation of young people who are active and engaged with the institutions that affect them. We want a nation of young people who can make informed decisions for their own wellbeing.